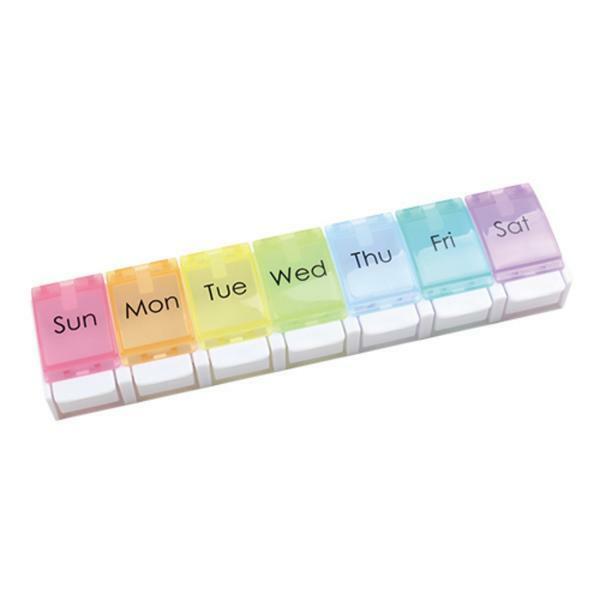 All newly designed weekly pill case, with 7 or 14 days usage. Easy one touch pop-up cover, and features braille dot on the cover. *Available for customize logo printing.